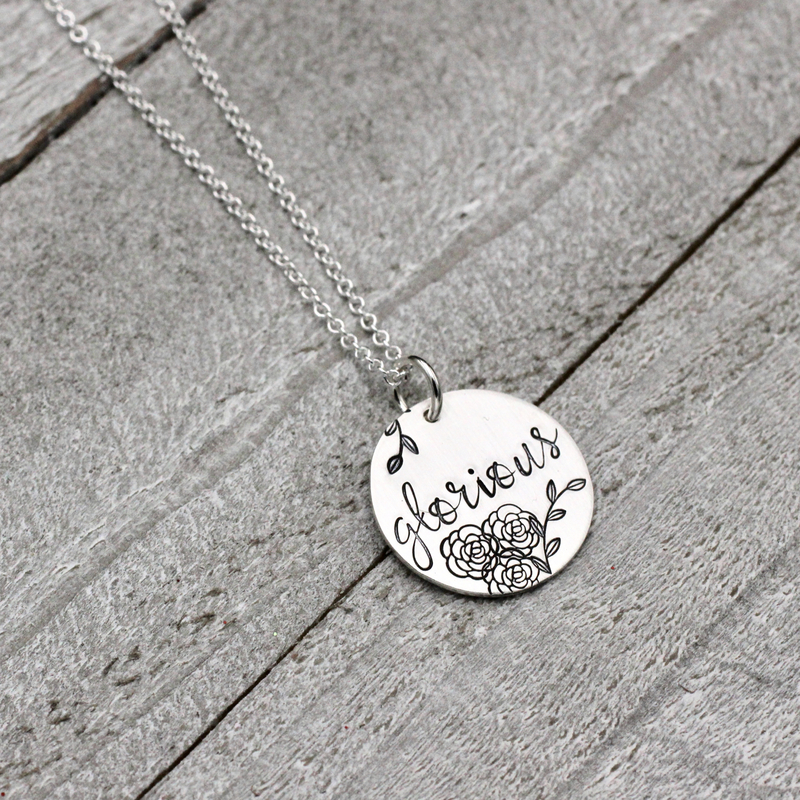 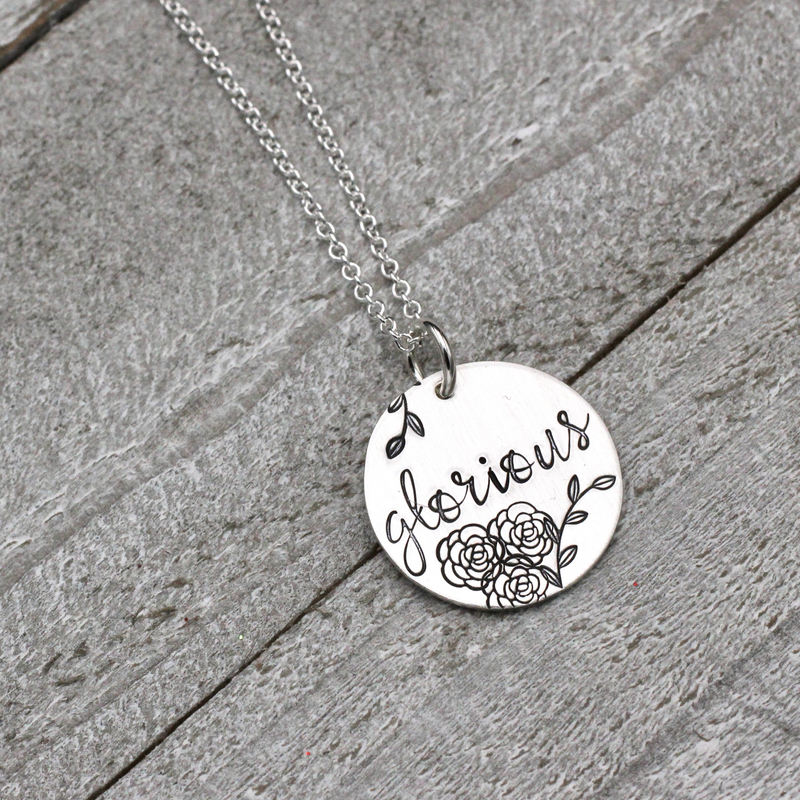 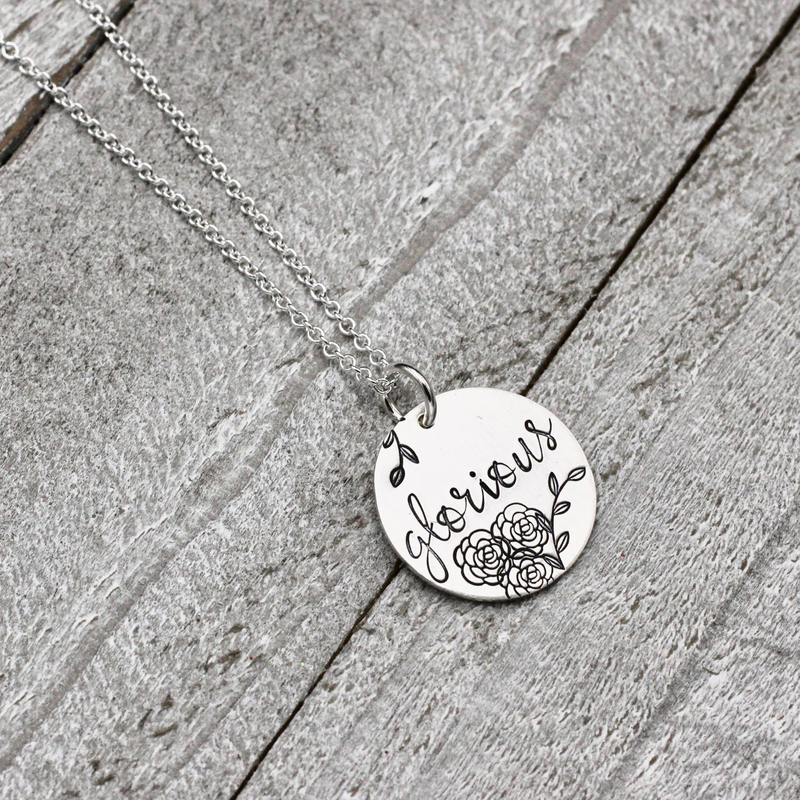 For this pretty and inspirational necklace, the word "glorious" has been stamped by hand onto a sterling silver disc. 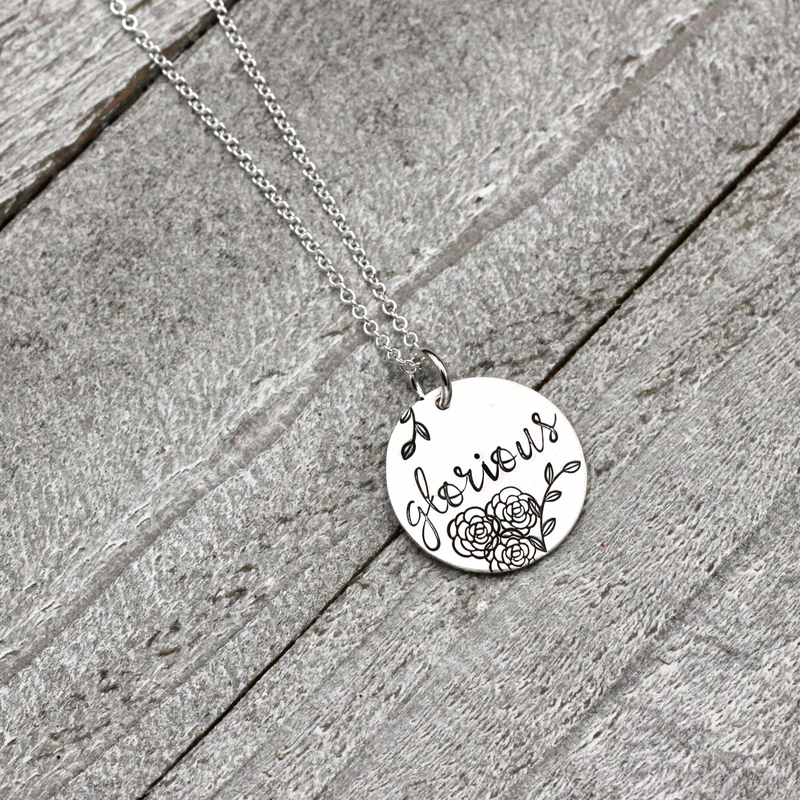 Flowers accent the word and the pendant hangs from a delicate sterling silver chain. 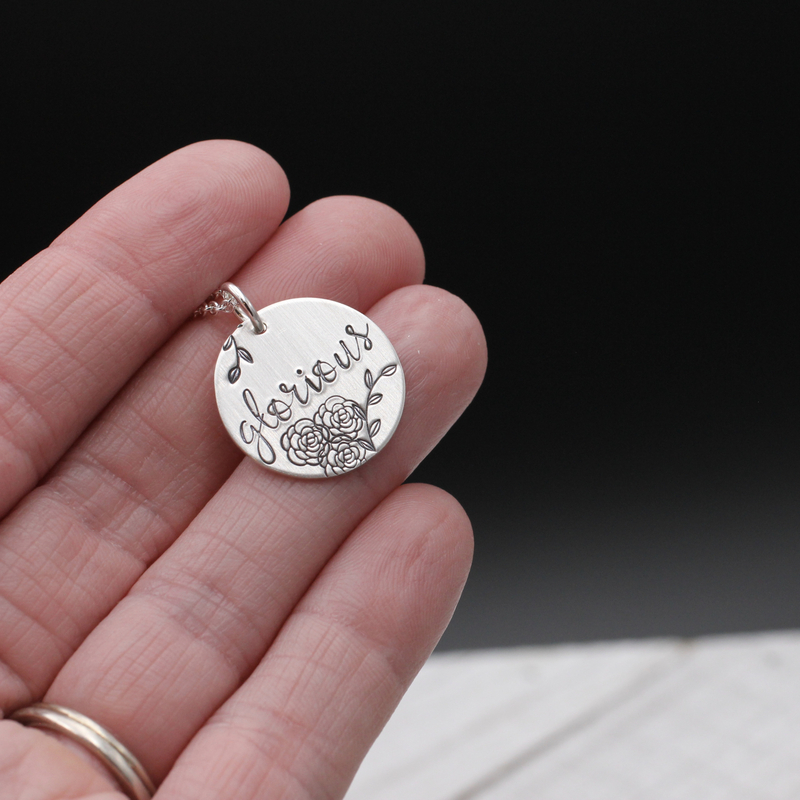 The disc measures 3/4 inch in diamter and the chain is available in 16, 18, or 20 inches.